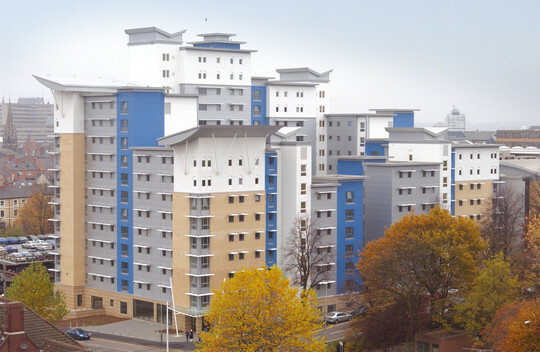 For my first year at university I lived in the city living accommodation Opal Court which proved to be really convenient as it was only a 5 minute walk to university, 10 minutes to Morrisons (the largest supermarket close to the accommodation) and a 15 minutes walk to the shopping centre. Opal Court has a mixture of students from different stages of their course. My flat consisted of 4 other girls in their 1st year, when allocating dorms I believe they try to put all the 1st years together. Facilities the accommodation also includes is a common room area with access to TV and gaming facilities such as table tennis. Opal Court is the ideal accommodation if you are looking for somewhere convenient in location; it is mainly popular with international and postgraduate students, however I felt it was an ideal accommodation for my first year at university. Just before I moved into my student accommodation I joined the Opal Court Facebook group where other students were searching for their flatmates by commenting their flat numbers and floor levels. I thought this was a great idea because I was able to message and have a conversation with my flatmates before I arrived. Which made my actual day moving into the flat a lot easier as I had already introduced myself to the majority of my flatmates through the private Facebook group. To all the new students at Opal Court I hope you enjoy your stay there!